Hey true believers, its time to show a little Marvel goodness. 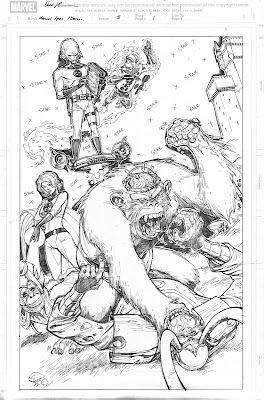 Here is some stuff from my back-up in Marvel Apes: Grunt Line Special. Fun stuff. Enjoy! I told you guys I had some great stuff coming! Thanks for sticking around. Also I'd like to welcome the new followers to the blog. Its good to have you aboard! We have over a hundred followers' not too shabby! I'll have to think up a way to keep people coming back for more. Maybe I'll give out some commissions or something. Hey All, today I got a little treat I did for CCMG. A character concept for a game called Animosity. You can check out the details at http://www.cottoncandymonster.com. 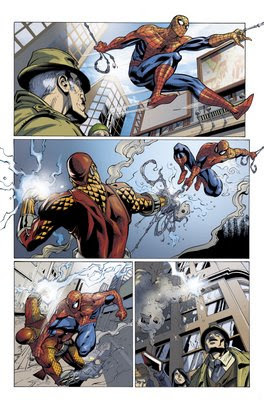 Also I found out my Spider-Man story will appear in Amazing Spider-Man Family #8 out in stores on July 1st. Check it out! In the mean time enjoy the artwork. 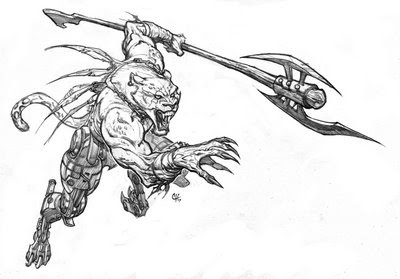 Hey All, Its still "Warlord-Fever" here at the studio. 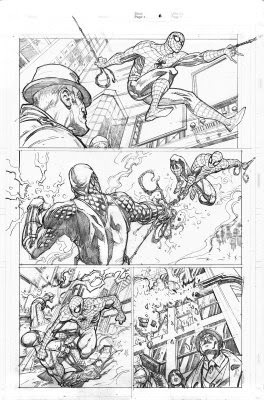 Its been requested that I post some pencils for Issue #3 and I figure that it would be a great time to do so. I just got back from the Seattle ComicCard Convention. Thanks so much to Steve Miner and his crew for having me out. 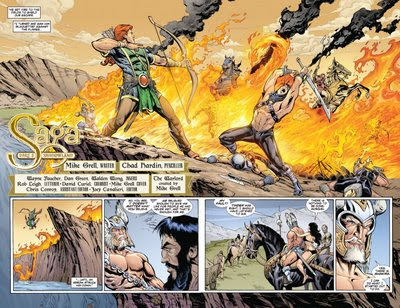 I got to meet and spend the day with Warlord's creator Mike Grell and other comic professionals. I chatted it up with Seattle's comic scene and spent the day doing convention sketches. It was a blast but I'm still a little jet lagged after all the flying and driving. Anyhoo I'll post convention pictures as soon as I get them off my camera. 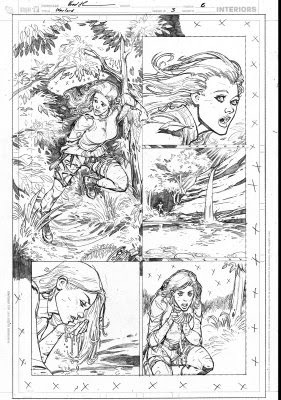 For now some pencils of issue #3 go out and get your issue now! Hey Guys, I know its been a while. Trust me I've been busy. 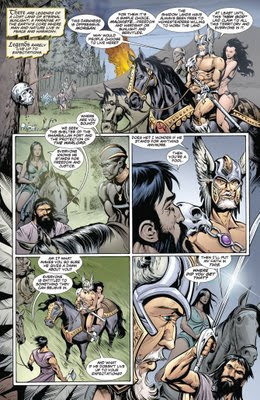 I have been cranking on Warlord issue #4 which I had to come in and pinch hit for. Turns out Joe got sick and I was DC's Huckleberry. 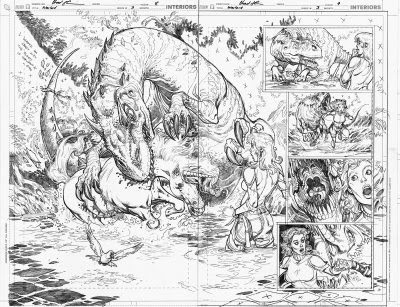 No worries we got the issue done and it should hit the racks on time, but for me there was a lot of drawing going on and nothing else. I took breaks to sleep (some of which was done on the floor by my art desk) and eat but not to blog. The good news is I have tons to show. 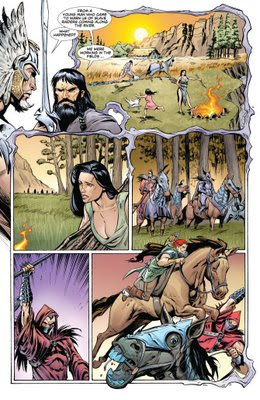 These are pages from Warlord #3 which was masterfully inked by Wayne Faucher, Walden Wong, and Dan Green and beautifully colored by Daniel Curiel. 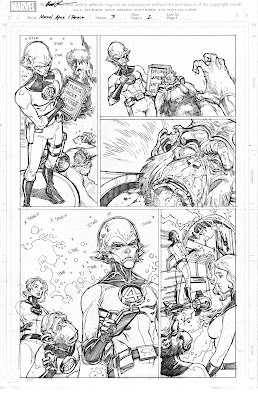 These pages shown are all inked by Wayne. I have lots more to post but I'll save it for later. 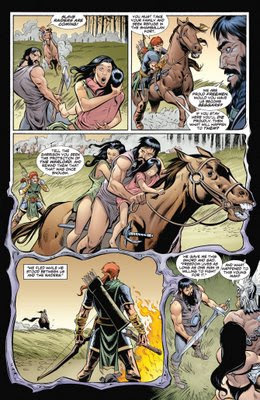 It was great working with Mike Grell, he has a lot to teach a guy like me and I look forward to doing more Warlord. I would also like to thank Kal5000 for giving me vote of confidence on DC's blog. 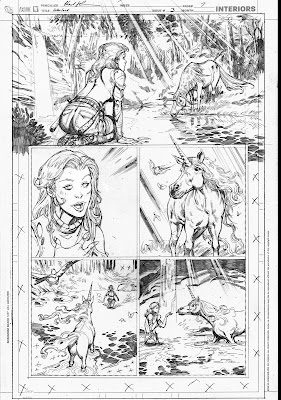 Kal if you can catch me online or at a con do so and I'll hook you up with some cool art.